Good morning! 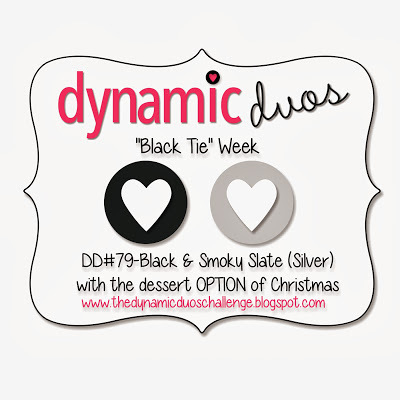 It’s Black Tie week at Dynamic Duos, and this week Basic Black is paired with Smoky Slate. 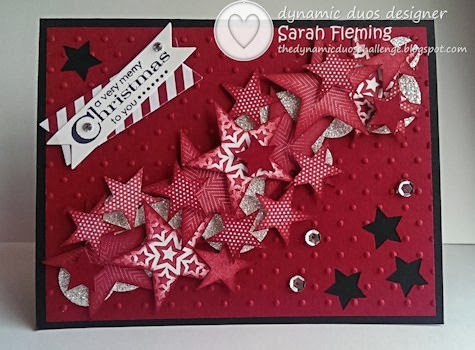 The dessert option is Christmas, so I decided to challenge myself and make a completely neutral Christmas card. It was hard! But I did finally come up with something I loved. 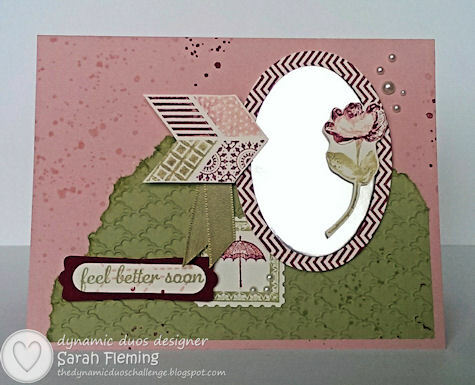 The Smoky Slate background is embossed using the Pretty Print folder. I sponged on some Illuminate Glimmer Watermark Ink as well — it doesn’t show up very well in the picture, but it’s pretty in person. 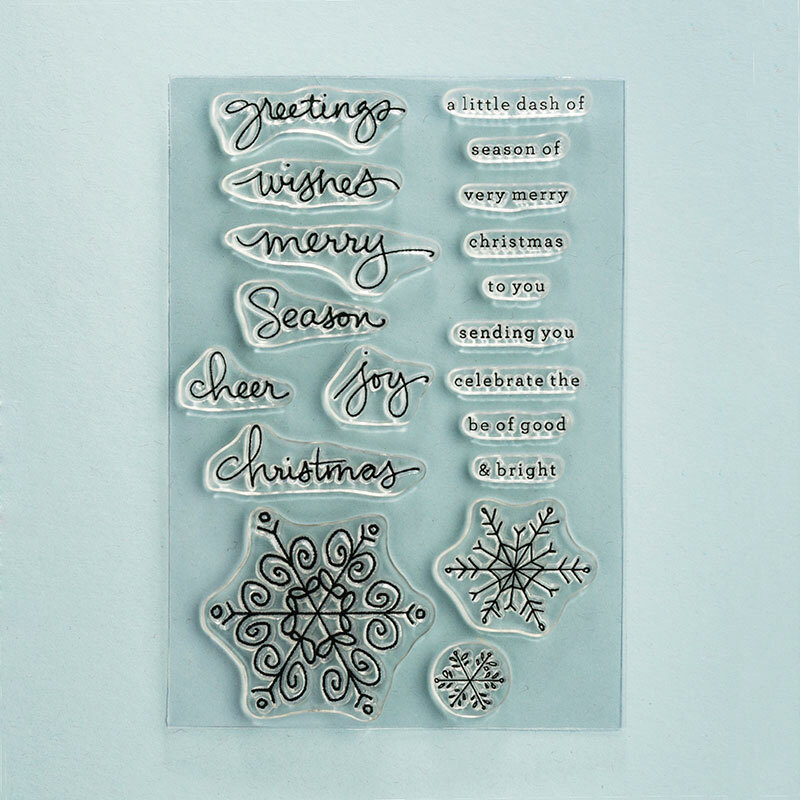 The snowflake is cut out of Silver Glimmer Paper using the largest Festive Flurry framelit. I used the Circles Collection framelits for the black circle behind Santa and cropped Santa using another Festive Flurry framelit. The Ho (cubed) stamp is from A Banner Christmas. 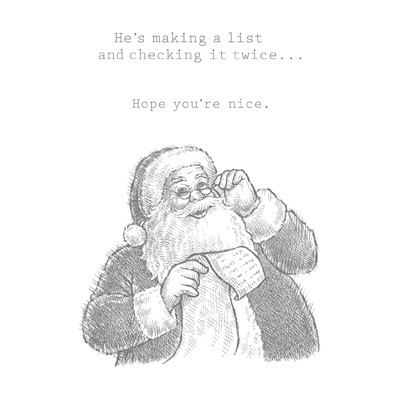 The “merry christmas” is from the Endless Wishes stamp set. 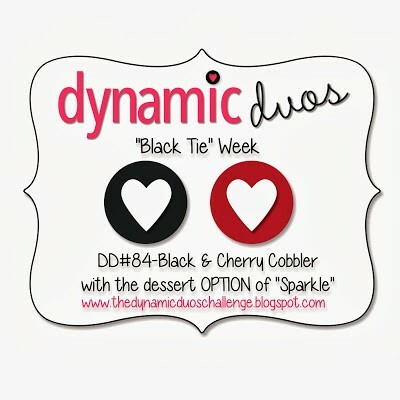 And I finished off the card with some rhinestones and the Silver Ribbon I love so much. 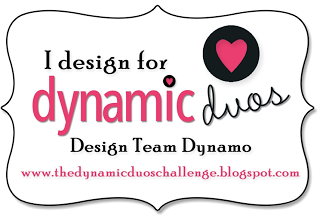 Head over to Dynamic Duos and see what the rest of the design team came up with this week. There are some amazing creations over there! 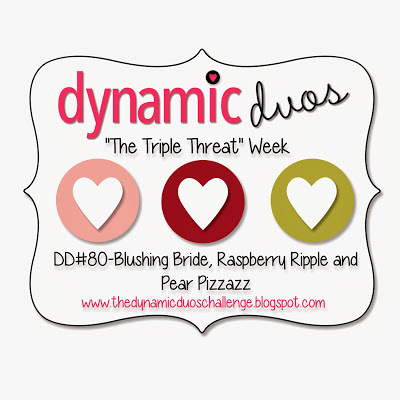 We’d love to see what you do with the challenge, so please play along!